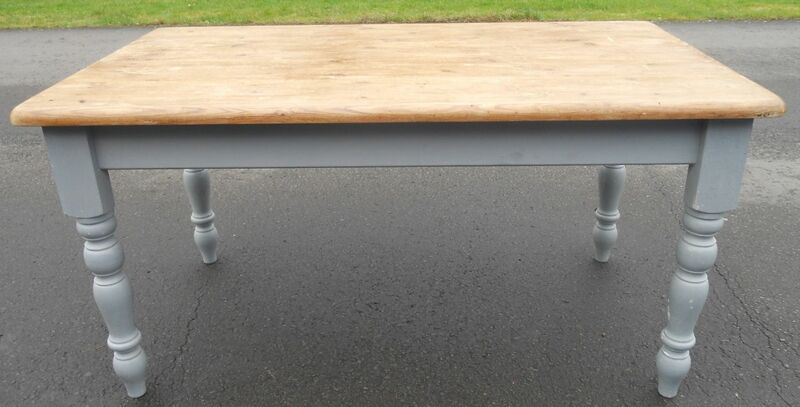 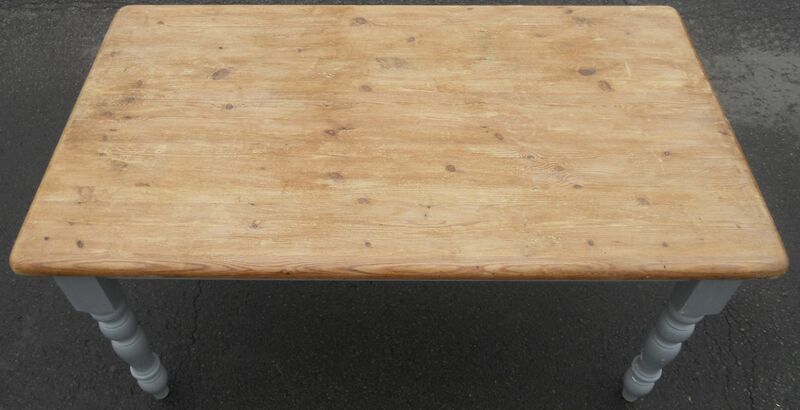 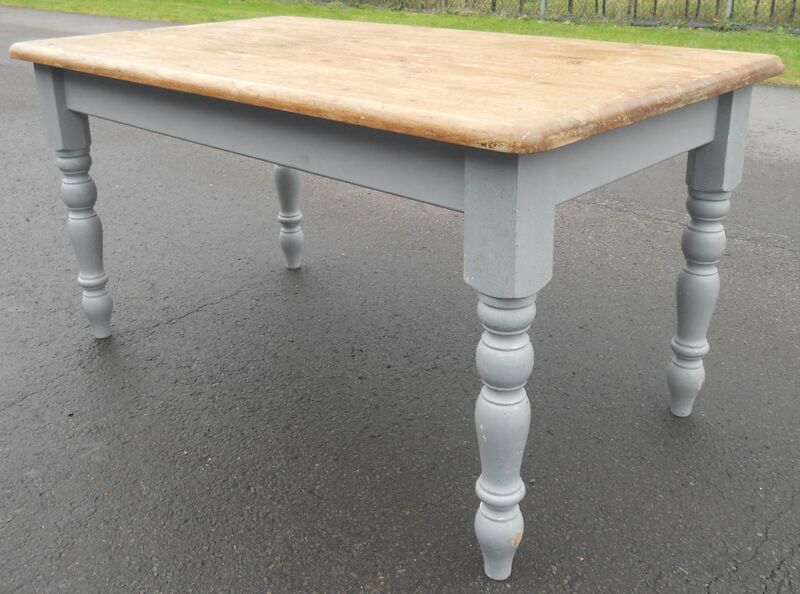 Good quality pine kitchen dining table in the antique Victorian style raised on four turned legs. 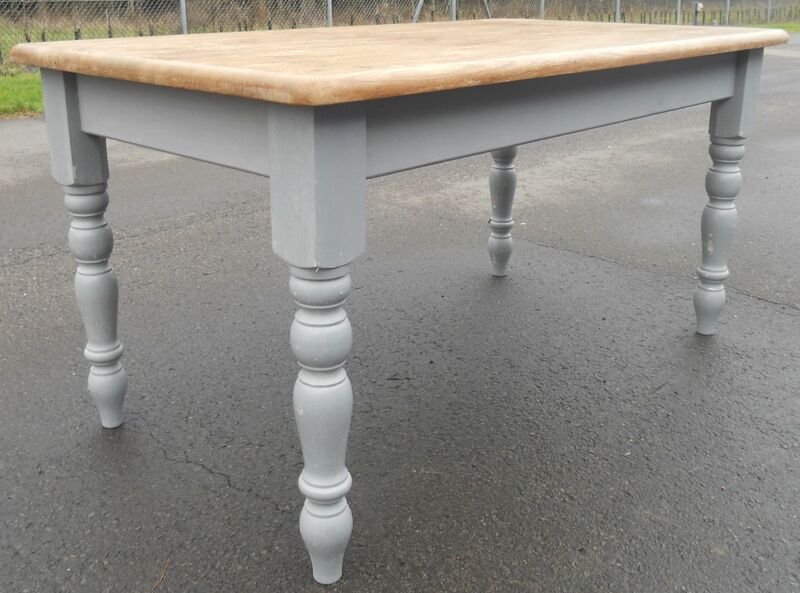 Having scrub top and later painted legs and sides. Four legs are easily unscrewed, enabling easy doorway access.